Sorting out ‘the facts about fats’ and understanding the value of certain fats for your health and wellness can contribute to men’s health in general. Did you know that there are fats that can kill you? They may do it slowly, but that doesn’t make them any less lethal. You probably eat some of them every day. There are other fats that can make you younger, healthier and trimmer, give you greater longevity, and actually improve men’s health. Would you like to know the difference? These fats are even good for improving your dog’s coat! Saturated fats from red meats (beef, pork, lamb), and from lard, all contribute to increasing inflammation, hardening your arteries and promoting heart disease. But there are some exceptions – short-chain saturated fats, like those found in butter and coconut oil, do not clog vessels or contribute heart problems. In spite of what you’ve heard about butter, it’s both tasty and beneficial (just ask the French), and is vastly healthier than hydrogenated margarine. 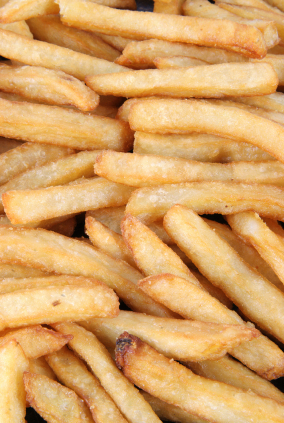 Trans-fats are man-made fats that don’t exist in nature. They are created by bubbling hydrogen through (otherwise harmless) liquid oils while under great pressure and high heat. They’re used in commercial deep-frying, and are added to many foods because they improve ‘shelf-life.’ Some countries have already banned the use of trans-fats in prepared foods, and there’s a grass-roots movement gaining momentum in the U.S. to do the same here. Choose wisely. Know your fat facts. Avoid hydrogenated oils, reduce your consumption of meats, omit margarine in favor of butter, fry in coconut oil, eat lots of fish, and supplement with omega-3 fish oils every day. These suggestions can improve all men’s health by giving us better moods, cleaner arteries and a longer life.